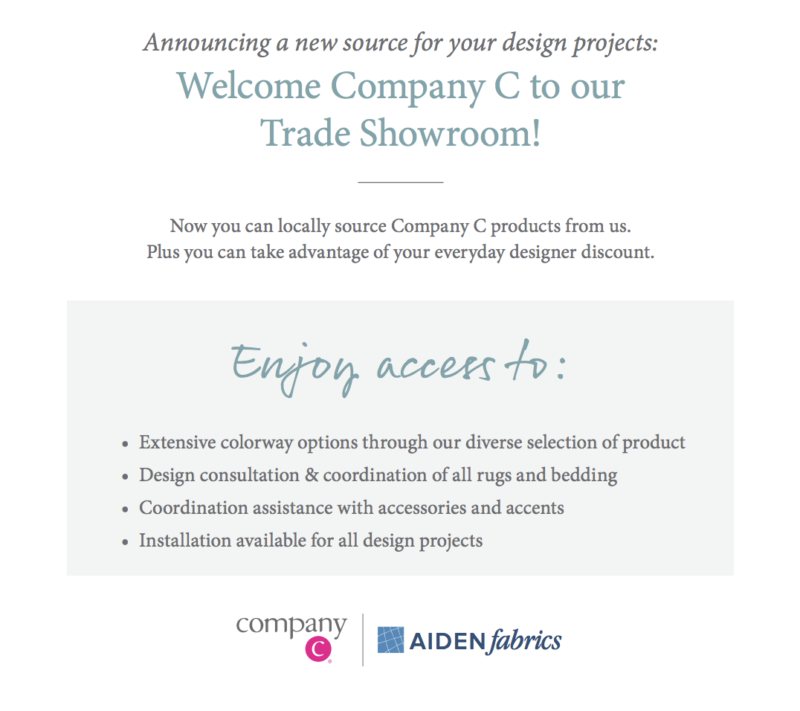 Enjoy shopping Company C products in the comfort of our local Aiden Fabrics Showroom! Beautiful area rugs, pillows, throws, bedding & more. We consistency feature their latest styles and trends, while also showcasing timeless neutrals. 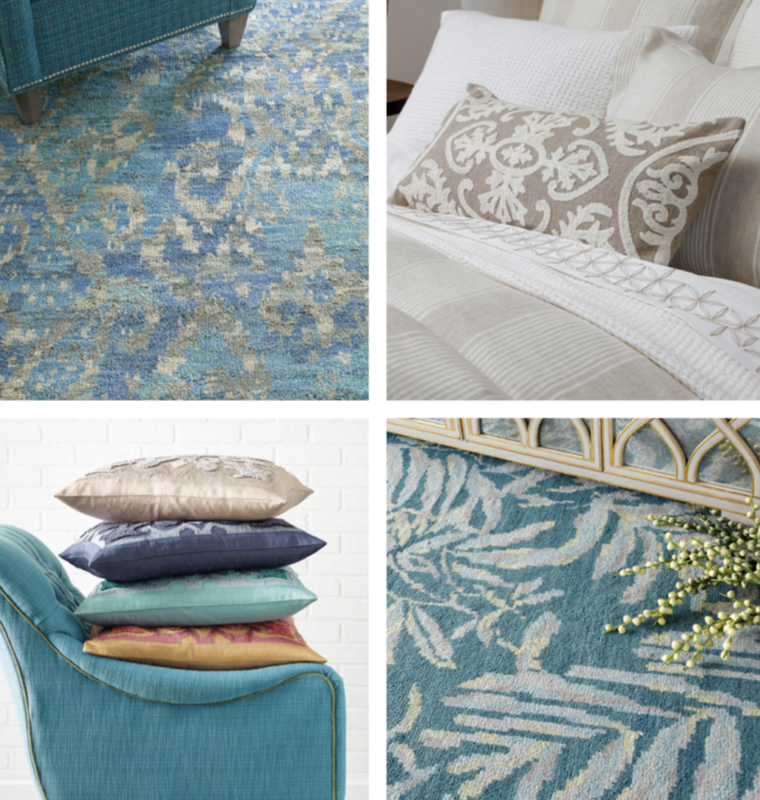 What we love most, though, are their rich hues found in their area rugs… true statement pieces! The next time you’re at Aiden, ask to see some of our Company C pieces.